WHAT ARE THE USES OF SHABU IN THE PAST AND TODAY APART FROM MEDICAL AND RECREATIONAL? SHOULD THE PHILIPPINE MILITARY START PRESCRIBING SHABU TO ITS SOLDEIRS SO IT WOULD START WINNING THE WAR AGAINST THE ABU-SAYAF, MUSLIM REBELS, AND NPAs? An educated, intelligent friend of mine who’s a historical buff told me that ephedrine and methamphetamine played a key role on (1) why Japan won against Russia during the Russo-Japanese War in 1905, (2) on how Nazi Germany was victorious in its early campaigns in World II, (3) was used by Japan to occupy the Asia-Pacific in World War II, (4) was used by USA in World II to defeat the Axis Powers, and as recently as (5) was used by USA AND Party of the Willing in Gulf War and Operation Desert Storm in the Middle East, and the (6) the ascent of China to its current military and economic might. Really? So I tried to do a haphazard research online (and it took around 1 hour), and surprisingly here’s what I found out. Maybe it is Shabu that is needed by the Philippine Military to win the war against Abu-Sayaf, Muslim Rebels, and NPAs? Summary: Shabu provided a big advantage to a military force, and to industrial establishments in increasing and improving workers’ productivity. It has become an advantaged that defined losers and winners among countries and businesses, but is wieldy and addictive thus needs proper management and open mindedness; and not blind and narrow minded eradication and contempt. (0*) Amphetamine, discovered before methamphetamine, was first synthesized in 1887 in Germany by Romanian chemist Lazăr Edeleanu who named it phenylisopropylamine.Shortly after, methamphetamine was synthesized from ephedrine in 1893 by Japanese chemist Nagai Nagayoshi. Three decades later, in 1919, methamphetamine hydrochloride was synthesized by pharmacologist Akira Ogata via reduction of ephedrine using red phosphorus and iodine. (1, 2, 3, 4, 5 *) Ever since its invention (Shabu) in 1919, the potential benefits from this drug in a military setting have been appreciated. It was used by both the Allied and Axis powers during the Second World War to allow prolonged forced marches, and to keep troops awake and alert in protracted combat. Military use of the drug to counteract fatigue has continued through to the present day (Forensic Science Review • Volume Fourteen Number One/Two • January 2002). (2*) During World War II, methamphetamine was sold in tablet form under the brand name Pervitin, produced by the Berlin-based Temmler pharmaceutical company. It was used extensively by all branches of the German armed forces (Luftwaffe pilots, in particular) for its performance-enhancing stimulant effects and to induce extended wakefulness (Adam Tooze, 2007). Pervitin became colloquially known among the German troops as "Stuka-Tablets" (Stuka-Tabletten) and "Herman-Göring-Pills" (Hermann-Göring-Pillen) (Adam Tooze, 2007). (2*) More than 35 million three-milligram doses of Pervitin (Shabu) were manufactured for the German army and air force between April and July 1940. (Andreas Ulrich (6 May 2005). "Hitler's Drugged Soldiers". Der Spiegel). From 1942 until his death in 1945, Adolf Hitler was given intravenous injections of methamphetamine by his personal physician Theodor Morell ( https://en.wikipedia.org/wiki/History_and_culture_of_substituted_amphetamines). (2*) It was not until 1986 that Pervitin became a controlled substance, requiring a special prescription to obtain (Freye, Enno (2009). Pervitin was commonly used by the German and Finnish militaries Grinspoon; Hedblom(1975). (4*) Multiple lines of evidence demonstrate that amphetamine causes a release of monoamines from brain cells. Behaviorally, this can have the effect of elevating mood, increasing alertness and vigilance, while decreasing tiredness and sleepiness (e.g., Hart et al. 2003, 2005). These effects can be beneficial for individuals required to work extended hours or workers who have to perform at the circadian nadir of alertness. Undoubtedly, this is the reason that several nations’ militaries have used (and continue to use) amphetamine since World War II (Caldwell and Caldwell 2005). The drug helps soldiers fight better and longer. Hart et al. (2003, 2005). (3*) In Japan, methamphetamine was sold under the registered trademark of Philopon by Dainippon Pharmaceuticals (present-day Dainippon Sumitomo Pharma [DSP]) for civilian and military use (Reding, 2009). It has been estimated that one billion Phiporon pills were produced between 1939 and 1945 (Reding, 2009). (3*) In the 1940s and 1950s, the drug was widely administered to Japanese industrial workers to increase their productivity (Jenkins, 2012). (5*) In Operations Desert Storm and Desert Shield during the Gulf War, pilots were issued “GO” pills (d-amphetamine, 5 mg) (Emonson DL, Vanderbeek RD, 1995). They were limited to the use of one pill every 4 h to combat fatigue resulting from sustained flying operations (duty days of greater than 16 h and crew rest periods of less than 6 h), and time zone changes. As many as two thirds of the pilots flying there used the pills, and the rating of the effects was almost uniformly positive, many stating that they felt it made for safer flying operations. However, in contrast to typical recreational patterns of use, the drug was administered orally, in small divided doses, under the direction of a flight surgeon. (5*) Caldwell et al. (1995) demonstrated the ability of amphetamine (30 mg in divided 10-mg doses at 4-h intervals) to sustain helicopter pilot performance in a flight simulator during periods of sleep deprivation (over 48 h without sleep). There was reduced slow wave EEG activity, improved alertness, and better self-ratings of fatigue and vigor. These results were generally validated by Caldwell and Caldwell  in actual helicopter flight, although the drug’s effects were less significant, and did not become significant until after 24 h of sleep deprivation. Freye, Enno (2009). Pharmacology and Abuse of Cocaine, Amphetamines, Ecstasy and Related Designer Drugs. University Düsseldorf, Germany: Springer. p. 110. ISBN 978-90-481-2447-3. Grinspoon; Hedblom (1 January 1975). Speed Culture: Amphetamine Use and Abuse in America. Harvard University Press. p. 18. ISBN 978-0-674-83192-6. Adam Tooze (2007). The Wages of Destruction: The Making and Breaking of the Nazi Economy. London, UK: Penguin Books. ISBN 9780141040929. Retrieved 21 November 2012. Caldwell JA, Caldwell JL, Crowley JS, Jones HD: Sustaining helicopter pilot performance with dexedrine during periods of sleep deprivation; Aviat Space Environ Med 66:930; 1995. Nick Reding. Methland. The Death and Life of an American Small Town. Bloomsbury, 2009. p. 45. ISBN 1-59691-650-8. John Philip Jenkins. 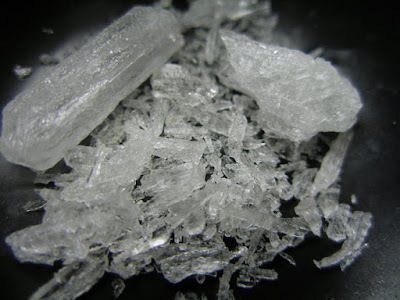 "methamphetamine (drug) – Britannica Online Encyclopedia". Britannica.com. Retrieved 29 January 2012. Emonson DL, Vanderbeek RD: The use of amphetamines in U.S. Air Force tactical operations during Desert Shield and Storm; Aviation Space Environ Med 66:260; 1995. The purpose of this article is to shed light on what is shabu, the drug menace that is in the center of the chaos and fear gripping many communities in the country. Research was done informally online and references are provided on the text whenever possible. Currently the drug known as SHABU is the center of the anti-drug campaign of the Duterte administration. This chemical substance had been demonized in the press beyond belief. The campaign has caused the death of many person . The campaign has blurred the basic tenets of human rights, “the right to life of everyone”. All the victims of the executions were deprived of their rights guaranteed by the constitution of the Republic of the Philippines to “due process of law”, and certainly, many were accused as “instant drug pushers” and were executed by persons who wanted to get back on their enemies by taking advantage of the campaign that provides them immunity from criminal liability. This “new found power” of our law enforcers and the public “with guns and capability” is almost absolute, and absolute power corrupts absolutely. The executions and verbal authority given by the Presidents to law enforcers or the Police is bordering tyranny, and encourages the public “with guns and capability” to lawlessness. The current situation if not controlled and if extended beyond the target of 6 months could rim, perhaps, led the country to anarchy. The basics of social order: the right to life; the guarantees provided by the constitution to “due process of law” to its people; and, partially honest, and partially non-corrupted police force that painstakingly took decades to be reformed by the past four administrations through costly programs; and a responsible public “with guns and capability” were corrupted, dishonored and sacrificed by this administration in the guise of eradicating drug use in the country. Let us hope that sanity would return in 6 months’ time; if not, at the very least, the responsible, educated, and the public conscience of this country awakens from this folly, that the end (in reality there is no end to this campaign as no country has succeeded not even the mighty and technologically advanced USA) never justifies the means, and wrong cannot be solve by doing more wrongs. Shabu is also known as Methamphetamine Hydrochloride. 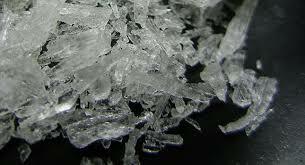 Methamphetamine (contracted from N-methylamphetamine) is a strong central nervous system (CNS) stimulant, it has many medical uses but is popularly used as a recreational drug and as a treatment for attention deficit hyperactivity disorder (ADHD) and obesity (Wikipedia). In the United States, methamphetamine hydrochloride, under the trade name Desoxyn, has been approved by the FDA for treating ADHD and obesity in both adults and children. As of today, in the United States, millions of prescriptions for the legal form of methamphetamine hydrochloride are given by health professional to its patients. Methamphetamine is prescribed off label for narcolepsy and idiopathic hypersomnia among many other many disorders. Further, in the United States and in many other countries (apparently excluding the Philippines), methamphetamine's levorotary form is available in some over-the-counter (OTC) nasal decongestant products (Wikipedia). As of January 2013, the Desoxyn trademark had been sold to Italian pharmaceutical company Recordati. NO. Shabu is not dangerous. It is no less than dangerous than sugar, salt, or milk. On the other hand, Muriatic Acid commonly sold in the supermarkets and grocery stores; and Sodium cyanide, a pesticide commonly sold in agricultural shops in the Philippines are a thousand fold more dangerous than shabu. THEN WHY IS SHABU ILLEGAL? Shabu is illegal because the Congress of the Philippines, the law making body of the country, passed a law declaring trade, manufacture, and (non-sequitorially) its use as illegal. The law is known as The Comprehensive Dangerous Drugs Act of 2002 or Republic Act No. 9165. Our congress passed the law to meet international conventions and agreements; this is because the country is a party to the Convention on Psychotropic Substances of 1971, a United Nations treaty designed to control psychoactive drugs such as amphetamine-type stimulants, barbiturates, benzodiazepines, and psychedelics signed in Vienna, Austria on 21 February 1971. WHAT ARE THE BASIS OF MAKING SHABU ILLEGAL? Ephedrine is a highly sought-after chemical precursor in the illicit manufacture of methamphetamine, and lobbyists of the massive and rich pharma industry in 1998 recommended ephedrine for control under the Convention on Psychotropic Substances of 1971 (Convention on Psychotropic Substances - Wikipedia, the free encyclopedia.htm). However, many interests group resisted. The Dietary Supplement Safety and Science Coalition lobbied against control, stressing the drug's history and safety, and arguing that "ephedrine is not a controlled substance in the US in 1998, nor should it be internationally". Partial victory was won by the resistance; after a two-year debate, the Expert Committee on Drug Dependence decided against regulating ephedrine (Convention on Psychotropic Substances - Wikipedia, the free encyclopedia.htm). Victory did not last long. The resistance was outwitted. The Commission on Narcotics Drugs and the International Narcotics Control Board listed the drug as a Table I precursor under the United Nations Convention Against Illicit Traffic in Narcotic Drugs and Psychotropic Substances, a move that did not require WHO approval. As such, country’s party to the Convention on Psychotropic Substances of 1971were required to pass laws regulating ephedrine and methamphetamine (Convention on Psychotropic Substances - Wikipedia, the free encyclopedia.htm). However, many countries including the USA, although parties to the convention and passed laws regulating ephedrine and methamphetamine found a way to punch hole to the use of ephedrine and methamphetamine by way of passing a law allowing a “legal” form of ephedrine and methamphetamine to be in the market. The Pharma industry now profited from its lobbying by manufacturing these legal forms on different brand names. In the United States and in many other countries (apparently excluding the Philippines), methamphetamine's levorotary form is available in some over-the-counter (OTC) nasal decongestant products like Desoxyn and many other brand names (Wikipedia).